If you are getting this error when running yarn build or npm run build that is probably because the versions of both the stencil core and stencil router are outdated. If you are interested in knowing more about this issue, please refer to: https://github.com/ionic-team/stencil-router/issues/86 and https://github.com/ionic-team/stencil-app-starter/issues/64. That’s it, from now on your build should work as expected. 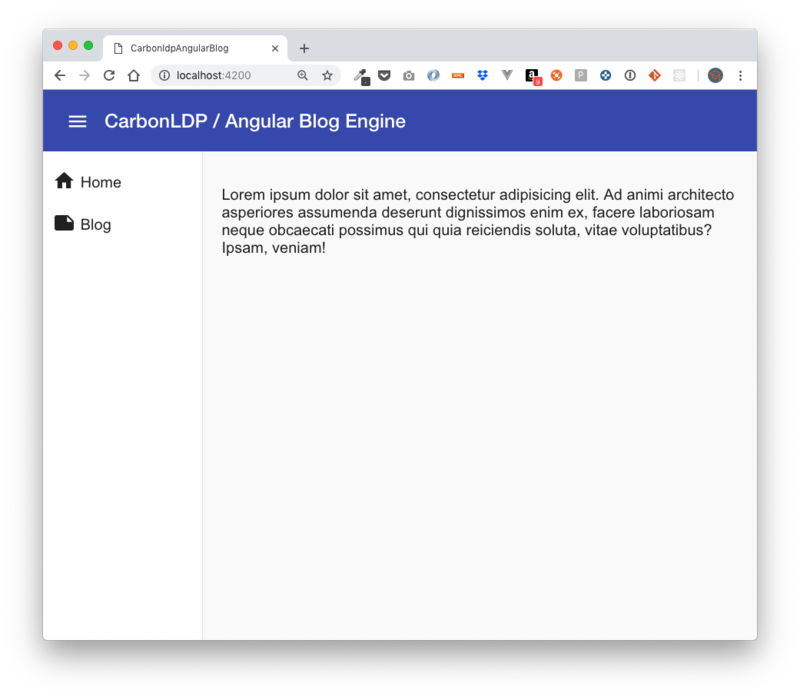 In this tutorial, we are going to be creating an awesome blog engine using two great tools: Angular and Carbon LDP. 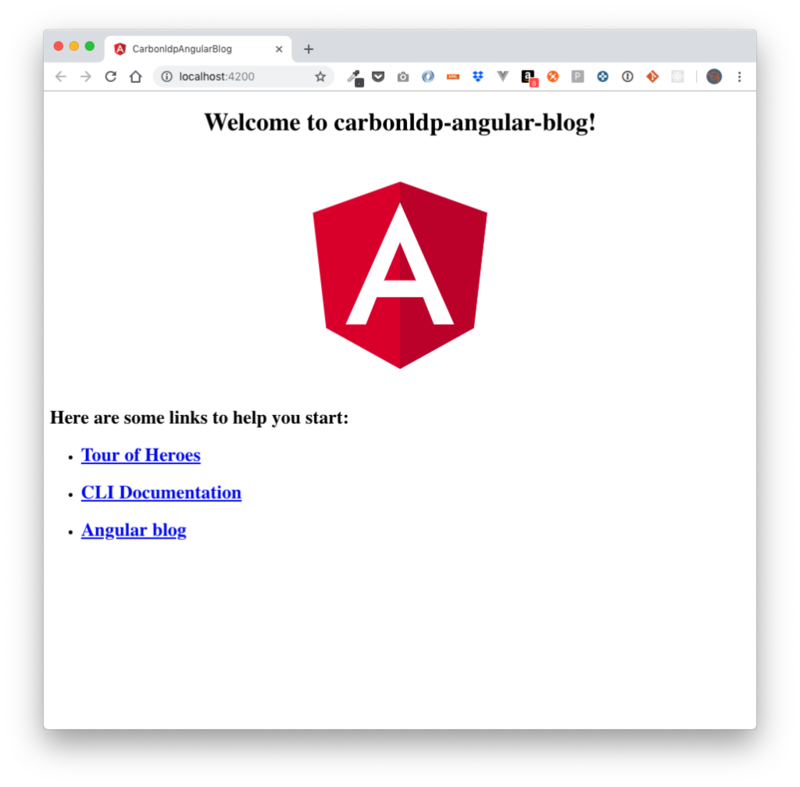 Complementary source code is available in carbonldp-angular-blog repository. In today’s part, we will be focusing on building the UI with Angular and Angular Material by using the Angular CLI. 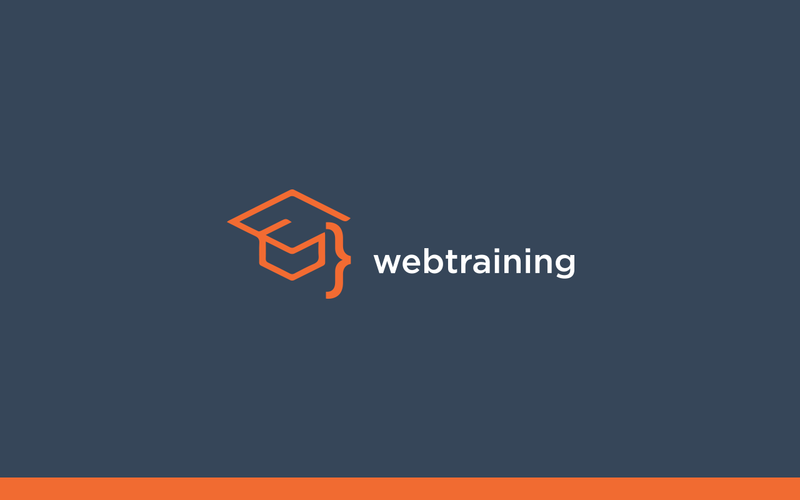 We know building a robust and powerful blog engine (such as WordPress) is not a trivial task, however, with these steps, you will be able to understand the concepts behind building applications with Carbon LDP and Angular. src/index.html is the app entry point (where everything starts), src/app/main.ts is the “main” file from Angular, src/app is where all our code will usually be. Since our main goal in this series is to focus on learning how Carbon LDP and Angular can work together, we will be using a set of proven components by Angular Material. No errors in our console, but our button looks kind of sad… let’s add a material theme to make our material components beautiful. Go to your web browser, you should see your “primary” button with a blue background. One of the easiest ways to add support for icons is by using a font, for doing that, open src/index.html and add a <link /> tag with the reference to the font family with Material Icons, this is how our src/index.html file will be after adding the icons. For alternate ways for adding icons, please visit Angular Material documentation. <mat-sidenav #snav [mode]="mobileQuery.matches ? 'over' : 'side'"
Checkpoint: let’s see how our app is looking so far and make a commit to our Git repository. Fue el video de por allá de Diciembre de 2015 cuando te pedí que fueras mi esposa, hoy estamos ya rumbo a nuestro 3er. aniversario como esposos y nuestro 12vo. año de habernos conocido. Cómo ha pasado el tiempo, tantos momentos que hemos vivido, y pido a la vida que me siga prestando muchos más años para estar a tu lado. 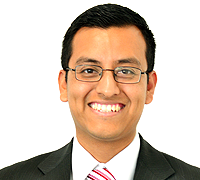 Tengo mi futuro en las manos, tengo el corazón a tus pies, tengo lo que tanto esperaba, desde que te encontré. Si algún día tenemos hijos espero que puedan armar nuestra historia a través de todos estos escritos y sepan cuánto amé a su madre. 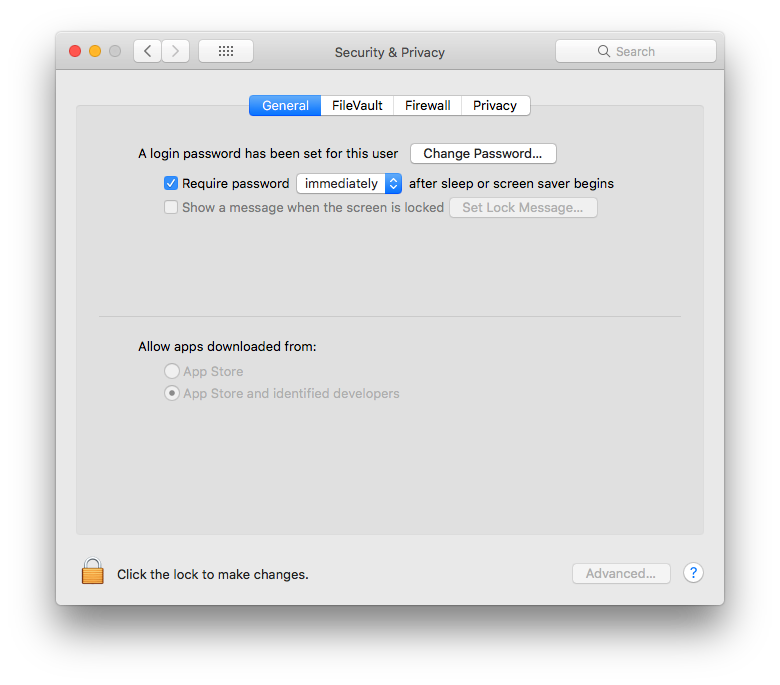 When trying to open a virtual machine for the very first time, after installing VMWare Fusion in a fresh installation of OS X, I am receiving the error “Could not open /dev/vmmon: No such file or directory”. That’s it! From now on VMWare should run smoothly.